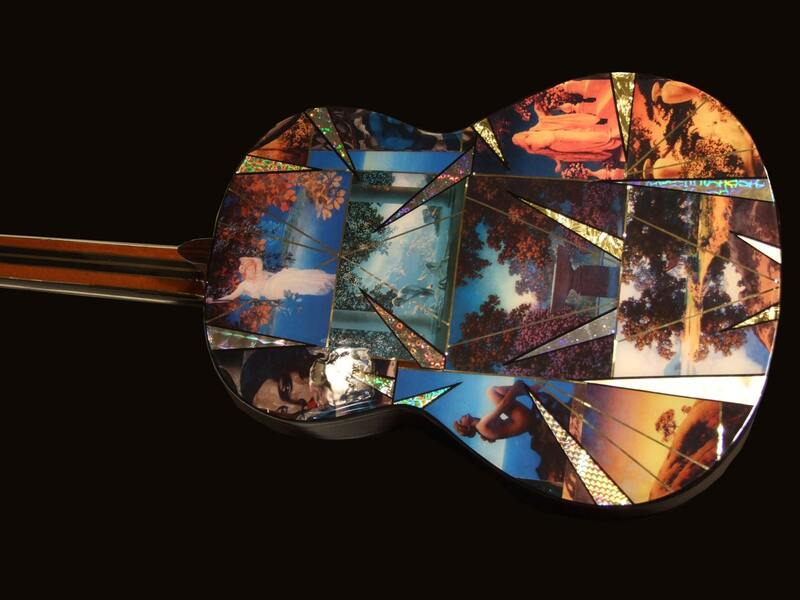 This guitar features the work of painter Maxfield Parrish. This guitar is completely one-of-a-kind and is perfect for any musical collection! Both functional and decorative!